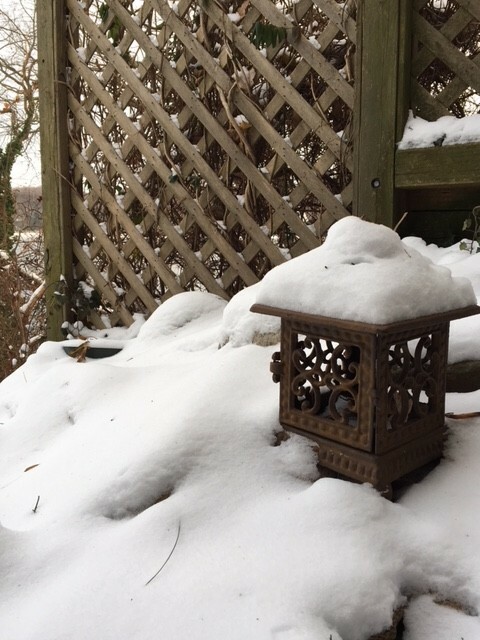 I write, a storm rages up the East coast, bringing damage and disruption in its wake, even as it deposits a fine little hat on the lantern in my rock garden. And so 2018 rages in with its storm of troubles, as well as its opportunities for beauty. I’m just back from Integral Life’s What Now Conference that rang in the New Year asking a question many of us are asking in our own lives and leadership. I write more about this in a companion newsletter on the Zen Leader Blog, but let me say a few words about What’s Now for IZL. We enter 2018 intentionally stretching ourselves beyond what we know how to do, determined to reach more leaders and be more useful, and I welcome hearing from you how we can be more useful to you. We’re growing our HEAL program for leaders in healthcare with additional cohorts, a next-step program, and webinars to bring the training into attendees’ systems. We’re growing our open enrollment programs to more locations and trying out new formats. We’d love to grow our work with teams, especially adding energy and resilience to those tackling wicked problems in the world. And we’re growing our pipeline of coaches and instructors for this work, as many of you know. To ably guide this growth, Andy Robins (who had been our IZL director in the UK) has taken on the new role of Manager Director. 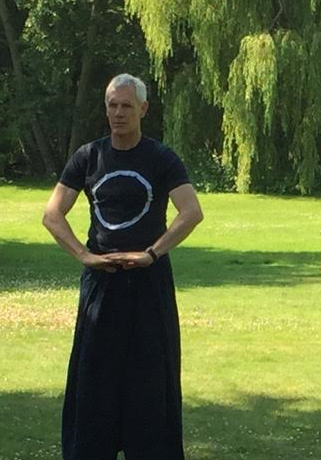 Andy has built and run his own multi-million dollar (pound, actually) business, is an executive coach, trainer of entrepreneurs, yoga instructor, and formerly served in the Royal Navy Field Gun crew. As he writes below, he was pretty much hooked from the start as the physicality of Zen training put him right back into the “flow” conditions he recognized from Field Gun days. Good to have his leadership on the field as we stretch IZL into the New Year. And so look forward to working with you who come to stretch with us. This is a new section to the newsletter and each month it will be spotlighting ‘Zen Leaders’ to discover what they’ve taken from IZL programs and how this has been reflected in their leadership. I am excited as part of my new role to be given the monthly task to track down and interview zen leaders; leaders in life who know the joy and relief that the sound of a ringing bell can bring. This month I wanted to share some of my own Zen Leader learning and a journey that started back in 2013 when I attended the second IZL Foundational Program at Spring Green. There is no doubt that those three days have had a profound effect on my life and my leadership. It would be fair to say that running up to that program life had been tough for several years and my recollection was arriving full of tension, which translated into one very stiff body, making zazen extremely uncomfortable. Strangely even with an aching back and burning knees, the zazen brought about an unexpected sense of coming home. I wasn’t sure what had sparked it, but it was surreal, sitting on a mat 5,500 miles from home and feeling as though I belonged. I returned home determined to take forward two aspects of what I had learnt: first on the list was to sit zazen daily for 20 minutes and the second was to spend 20 minutes stretching as shown by Ginny’s stickmen drawings, now pinned to my fridge door. I have stuck with these daily practices and they have expanded into a longer daily sit and yoga practice and, five years on, my body has transformed, back pain and headaches long gone. So along with daily sitting and yoga what has actually changed? The biggest change, without a doubt, must be the sense of joy that each day brings. The challenges haven’t gotten any less, but everything just seems so much brighter. In my leadership role it would seem that this one quality has been infectious, and was evidenced when recently leaving my job to take up my new IZL role. The leaving experience, was something that I have never witnessed before and one I would like to share. I was presented a leaving card that brought a tear to my eye, as it was full of very generous words that truly shocked me. There is one small paragraph that sums up many of the others that read, “Aahh, Andy there are no words to accurately reflect the effect you’ve had on us all. The organization is far better and more relaxed having known you. We’ll definitely miss you a lot.” Reading those words brings a wry smile to my face, as I am well aware that those words have little to do with me, and so much more to do with my newfound ability to keep well out of my own way. Read more about news from our sister organization, the International Zen Dojo of Wisconsin. Subscribe here. Newsletters will be posted on organization websites a few days after they are emailed.